Since I began writing about Gwrych Castle in the late-1990s, a huge amount of people would ask about myths, legends and ghost stories of Gwrych. 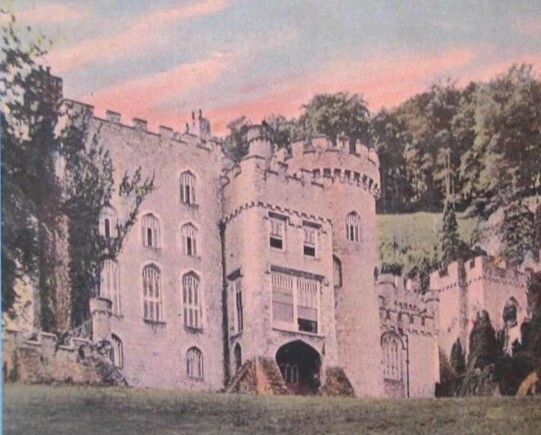 I at first just disregarded most of these enquiries but it became apparent that there was a wealth of information concerning the legends of the Gwrych Castle Estate. So in 2003 when ghost hunting was at its height of popularity with the introduction of the television programme Most Haunted, I started collecting stories and anecdotes from visitors to the exhibition and those who had been to Gwrych. This book was kept on the slow burner for nearly three years and by the time I had decided to publish it, the original text was greatly expanded to include the archaeological elements of the estate and also it served to be an oral history collection. The approach was very methodical, going through each section of the house, outbuildings, gardens, park, estate buildings and the neighbouring towns of Abergele and Llanddulas. I thought it was especially interesting to view the towns through the eyes and words of historical visitations such as Edward Lhwyd who visited the area in 1699 but I consciously placed these in the context of the Gwrych Estate. The Myths and Legends has also been a favourite amongst younger readers who have devoured the tales of the forlorn Countess haunting the marbled halls of her stately home! For centuries the Gwrych Castle estate has been the source of tales and mysterious happenings and these can now be read about in the latest book to be published by a young man whose interest in the monument started at the tender age of 14. As a schoolboy, Mark Baker, of Prestatyn, would pass the spectacular Abergele landmark on his way to school. He was saddened by the fact it had been left to deteriorate and decided to take action to try and preserve it. Since that time he has worked tirelessly for the cause and in 2001 added strength to the fight by forming the Gwrych Castle Preservation Trust. His hopes were raised earlier this year when it was thought a sale for the building had been agreed. This was not the case and the future of Gwrych remains, as it has for a number of years, up in the air. “The vendors are in discussions with possible purchasers but nothing has been agreed”, said Mark, whose numerous other publications on Gwrych, and other historical landmarks in the area have always proved popular. 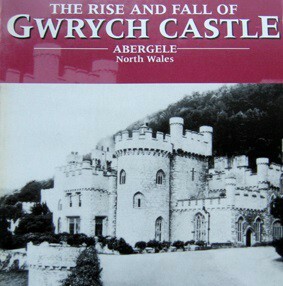 He admits his latest, entitled Myths and Legends of the Gwrych Castle Estate, proved something of a challenge to write. “This collection of short stories about the myths and legends of the Gwrych Castle estate has come about after many years if research into the history of Gwrych and the Dundonald family”, he said. “In this book I have tried to mix the tales with real historical fact, so that the stories would hang off an actual context. 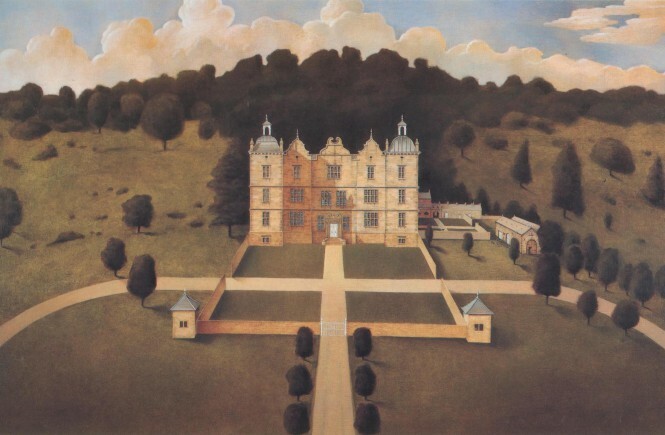 The book includes a site and ground floor plan of the castle and each chapter recounts tales relating to the various parts of the estate – public and state apartments, servants quarters and cellars, outbuildings, the gardens, the park, gatelodges, the estate and wells and springs. 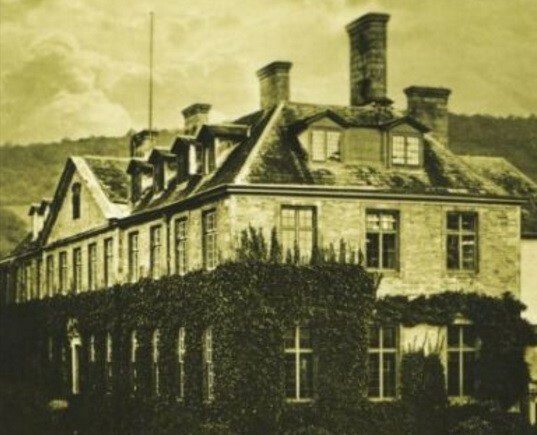 There are many tales of unexplained happenings at the castle over the years. One tale about the Countess’ bedroom and dressing room reads: “After her ladyship’s untimely death in 1924, this suite of rooms ceased to be used until the 1950’s when it was rented off as a flat to let. “However, this did not last long as disturbances were felt and it became too uncomfortable for people to stay there. “Noises were heard, as well as objects being moved and the heavy scent of violets, the favourite scent of the Countess hung in the air. The room was then closed off and not used again!”. Mark has managed to include numerous photographs; these include one of St Michaels Church in Abergele, which was the traditional burial site of the Lloyd and Hesketh families of Gwrych up until the early part of the 19th Century. “The locations of the Gwrych burials have never been exactly located at St Michael’s” writes Mark. For residents of Abergele keen to find out about their town, the book is a must. As well as the countless accounts of the goings on in the castle and its grounds, there is a detailed section on the history of Abergele itself. It reads, “Antiquarians once disputed that Abergele was even called such, referring to an ancient tablet embedded in the walls of St Michael’s which refers to the town as Llanvihangel or Llanvihangel y Morva. “However, this must be tempered with the fact that only a copy of the original tablet has survived. “John Lloyd, the eight year old son of William and Margaret Lloyd of Gwrych, was buried there in 1733 and this is the earliest reference in tablet form. “John Hicklin, in 1849, described the origin of the name Abergele as thus – from Aber, rivulet, and Gele, woody or secluded.